Mac OS X Yosemite 10.10 Golden Master 2 (GM 2) Candidate 2.0 (Build: 14A386a), OS X 10.10 Yosemite Public Beta 5 (Build: 14A386b) and Xcode 6.1 Golden Master 2 (GM 2) (Build: 6A1046a) has been seeded by Apple officially. OS X developers and non-developers (general users) can update / upgrade to latest available software version instantly. Mac users can Download Standalone Setup Installer / Combo, Delta Update .DMG Files via Direct Links posted below. The changelog of OS X Yosemite GM 2 Candidate 2.0 (14A386a) a.k.a. Developer Preview 10 and OS X Yosemite Public Beta 5 (14A386b) holds; Stability and performance improvements, fixation of bugs and inclusion of new features and functionality. The changelog of Xcode 6.1 GM 2.0 (6A1046a) contains; Mac OS X v10.10 SDK with swift programming language runs on OS X Mavericks, OS X Yosemite and addition of iOS 8.1 beta 2 SDK for development of iOS apps. It's expected that, Mac OS X 10.10 Yosemite Gold Master v2 Candidate v2.0 could be the last and final beta version before the final public release announcement at Apple's special event happening on October 16th, 2014, where new iPads, iMacs and OS X Yosemite are expected. 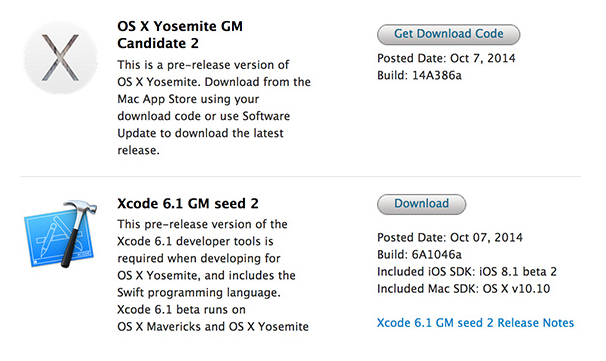 How to Manually Download & Install OS X Yosemite GM Candidate 2.0 and Public Beta 5 Update? If you're already running an old Golden Master Candidate v1.0 software version, then you can automatically upgrade / update via Mac App Store >> Software Update tab. 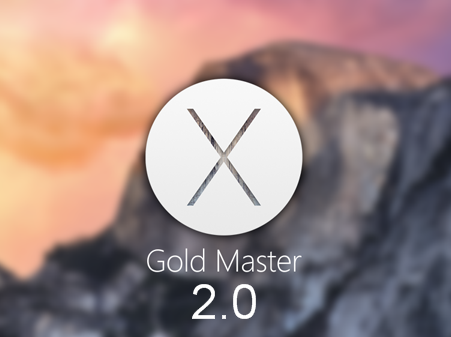 For OS X developers, OS X 10.10 Golden Master Candidate v2.0 can be officially download via OS X Dev Center website. Whereas, OS X non-developers and OS X Public Beta Seed Program members can visit Apple OS X Beta Seed Program website to manually download, install and activate OS X 10.10 GM Candidate 2.0 and OS X 10.10 Public Beta 5 without UDID and Developer account via iTunes for FREE. The Direct Download Links of Xcode 6.1 GM 2 (6A1046a), OS X 10.10 Yosemite GM Candidate 2.0 (14A386a), OS X 10.10 Yosemite Public Beta 5 (14A386b) Standalone Setup Installer / Delta, Combo Update .DMG File for manual installation via Bootable USB or DVD is available below.